Detail: Huge Liquidation Sale here at the new Pioneer Buick GMC for the whole month of November, we have unbeatable deals and 5 locations to choose from, pick a day you can come in and set up your appointment with me come and lets get you in your new vehicle. Detail: Collection events will be held at the Vienna and south Parkersburg Piggly Wiggly locations Nov. 10 and 17, where donors can pick up a shopping list, purchase their items and drop them in donation bins on their way out of the store. Organizations helping with the Piggly Wiggly collections are Girl Scout Troop 31279, Youth Group, Unity Plaza, Big Tygart United Methodist Youth and Mrs. Birge’s fifth-grade class at St. Mary School. More information is available by contacting Comfort Keepers at 1-888-373-7127 or FaithLink at 304-485-5525, ext. 31. Detail: The Humane Scoiety of Parkersnurg, Special Needs Fund is having a fundraiser at El Mariachi-Parkersburg Monday Nov 19th 5pm-9pm, all proceeds from dinner and drinks and yes, even take-out orders go towards this great cause! Stop in, enjoy our Margarita Monday Specials in addtion to our Live Mariachi Band. It will be a good time or a good cause! Detail:Visit us at Peoples Bank Theatre and The Stage Door to view the trees created by local businesses and organizations for our Oh, Christmas Tree! – Annual Tree Auction & Gala. Oh Christmas Tree Open House Hours: –Monday, November 19 through Friday, November 30: 9:00 a.m. – 5:00 p.m. (excluding Thanksgiving). –Saturday, November 24 (Small Business Saturday & Marietta Christmas Parade): 4:00 p.m. – 8:00 p.m. –Saturday, December 1 (during Marietta Loft Tours): 1:00 p.m. – 5:00 p.m. It’s also a great time to pick up tickets to an upcoming show or a gift certificate for the live entertainment lovers on your list. We invite you to join us for our second annual Oh, Christmas Tree! – Annual Tree Auction & Gala on December 1 to benefit the Hippodrome/Colony Historical Theatre Association. This event helps support the HCHTA’s preservation of our historic theatre and its continued mission to bring the performing arts and interactive arts education experiences to our community. The auction takes place Saturday, December 1 at 7:30 p.m. with an auction preview and cocktail hour beginning at 6:30 p.m. Detail: Join Makerspace instructor Mr. Steve Foutty on Monday evenings during the hours of 3:30 pm and 7 pm. This opportunity is for training and safety, and is designed to prepare makers for best practices and becoming members of the Epicenter Makerspace. Cost: Are you stopping in for a one-time session to get oriented with the woodshop equipment and see what we have available? Pay $5.00 per hour; Are you planning to learn the equipment in order build projects in the Makerspace? Become a member* for $35 per month. For more information call 740-370-6399, or email Makerspace Coordinator: bb2cmakerspace@gmail.com, or stop by any Monday to check it out! Detail: Don’t let the upcoming Holidays become your excuse to skip your workout!!! Detail: Club Family are invited to join our members for the Annual Club Family Dinner at the Club next Wednesday at 12pm. Please RSVP with the number of members & family that will be coming. You may tell the Front Desk @ the Club or message us via Facebook. We look forward to seeing you here! Detail: Looking for new ways to utilize Thanksgiving leftovers? Join us at The Changed Plate to try out some nutrient-packed recipes. Cancer patients undergoing treatment are invited to attend this event and are encouraged to bring one support person with them. Cost is $10 per person or FREE for Strecker Cancer Center patients currently undergoing treatment. To register and reserve your spot, call (740) 568-4731. Questions? Call Kayleigh Ticknor (740) 376-5011. Detail: This celebrated Charles Jones adaptation of Charles Dickens’ A Christmas Carol is rich with thrilling ensemble music, alive with color and movement and is created to tell this great and enduring tale in a manner that people of all ages will enjoy. Woven throughout this classic tale are beautiful new arrangements and moving renditions of holiday songs such as God Rest Ye Merry Gentlemen, Wassail Wassail, Good Christian Men Rejoice, Away in a Manger, Greensleeves, The Boar’s Head Carol and many more. Featuring a cast of 23 performers, live musicians, and Broadway-style scenery and costumes, audiences cherish this sumptuous holiday classic. Detail: All seatings for Thanksgiving 2018 are full. We thank you for considering spending your Holiday with us! Please call 304.422.3131 if you still wish to be placed on our waiting list. Detail: Registration begins at 8:00 the day of the event. Make the morning a little easier and pre-register here on our website! https://www.devolarec.com/turkey-trot ​ ENTRY FEES PRE-REGISTER: $5 PER INDIVIDUAL $10 PER FAMILY DAY OF THE EVENT: $10 PER INDIVIDUAL $15 PER FAMILY ​ LONG SLEEVE T-SHIRTS ARE AVAILABLE FOR PURCHASE THE DAY OF THE EVENT. ​ THIS IS AN “UNOFFICIAL” 5K EVENT, BUT RATHER AN OPPORTUNITY TO GET OUT AND EXERCISE ON THANKSGIVING DAY WITH FRIENDS, NEIGHBORS AND FAMILY! Detail: A Christmas Story, The Musical Book by Joseph Robinette. Music and lyrics by Benj Pasek and Justin Paul. Based on the motion picture A Christmas Story distributed by Warner Bros., written by Jean Shepherd, Leigh Brown and Bob Clark, and upon In God We Trust: All Others Pay Cash written by Jean Shepherd. Produced with permission of Warner Bros. Theatre Ventures and Dalfie Entertainment. Detail: Details 2018 Holiday Open House FREE Poinsettia with purchase! Detail: Our annual evening holiday parade will include floats, dance routines, carolers, and much more, all complete with festive Christmas lights. As usual, Santa Claus will make his appearance in the parade as well! After the parade, view the lighting of the City of Marietta’s Brand New, 22′ tall Christmas Tree at the Armory. The new tree was generously donated by Mister Bee Potato Chips! Come down and enjoy some hot cocoa. The Tree Lighting and Hot Cocoa are generously sponsored by Huntington National Bank! Thanks to the incredible support of local radio station WMOA, our Christmas Parade will be live on-air for all to enjoy, emceed by Marietta Main Street & WMOA. Each float will have the opportunity to submit an ad to be read live on-air during our Parade. Interested in hosting a float in our parade? Click below to access the registration form! Detail: Applications can be picked up at the Belpre Chamber office next to Belpre City Building or go to BACC and request a application by email. Every entry must be lighted. Line up will start at Campus Drive behind the Belpre High School football field. Every entrant is ask to provide can goods (preferably a case) for the entry fee. Detail: Make some noise to start your Saturday morning and burn off all of the turkey and pie with POUND Pros Amber & Rachel! This is a special class to give back to the community. The cost to attend is a canned food or monetary donation for the Gospel Mission Food Pantry. Detail: HOLIDAY OPEN HOUSE & ARTISTS’ MARKET: SATURDAY, NOVEMBER 24 Come out and support the Parkersburg Art Center on Small Business Saturday. Shop Small, Shop Local! Hours are 10:00 a.m. to 5:00 p.m. Free Admission, hot drinks and sweets all day. Shop great deals in our artist market, gift shop, and our remaining 6×6 artwork available for purchase. Lots of merchandise from local artists available and enjoy browsing the artist trees and decorations on display. Detail: Come check out the studio space during Small Business Saturday and do some Christmas shopping for the yogis in your life! Blossom Yoga swag will be available as well as gift certificates. This is a great time to stop if you’ve been curious about trying a class! Light refreshments will be provided. Detail: Gather your friends or bring the family and make memories by capturing a group photo. There will be several background and two photographers. Each pose is $10 and includes an 8×10. What: Fundraiser at Wings Etc. Detail: Please join us on November 25, 2018 from 11am to 11pm at Wings Etc. in Marietta, Ohio. This date will be the 10th Anniversary of Greg’s passing. Please either print this flyer or show it to your server from your phone and 15% of your food & soft drink purchases will be donated back to the Greg Schilling Memorial Foundation. We appreciate your continued support and can’t wait to see you all there! What: Christmas at the Castle, a Kingdom of Lights! Detail: Visit the castle this holiday season as we bring back our Kingdom of Lights! Join us nightly at dusk for this magical journey. Stroll the property, see the castle decked out with over 100,000 lights, take pictures with our outdoor Christmas tree, and listen to Holiday music playing throughout the property, have dinner in our restaurant. Even Saint Nick himself will make the occasional appearance. Santa will be visiting every Saturday and some Fridays, November 17th – December 22nd 6PM-8PM (excluding 12/15 the property will be closed on 12/15 for a private event). Select Friday nights there will be Christmas Carolers. When: Nov 23rd, 24th, and 30th at 4 PM-10 PM and running in December too! Detail: The Christmas Cave is a self-guided Christmas light display presented uniquely in the beautiful and mysterious passageways of an old underground mine. Our museum quality displays depict the historical moments surrounding the birth of the Savior. Open 4pm-10pm every Friday and Saturday, specifically: Nov. 23, 24, 30, Dec 1, 7, 8, 14, 15, 21, 22 for 2018. Free admission, but a $1 per person donation is APPRECIATED. Not handicap accessible, but we have special handicap hours for a exclusive drive through tour on these two date/times only: Saturday, Dec 8th and Friday, Dec 14th both 130-4pm only. We feature 16 indoor full-size display scenes, a mini planetarium, 2 fun tunnels, a Gift Shop, thousands and thousands of Christmas lights, outdoor displays, a walking trail to our cascading pond, 4 new parking lots, and an all-over spirit of Christmas! Your new Christmas traditions start here! Detail: Julia-Ann Square Historic District will host the annual Victorian Christmas Home Tour, Tea & Treasures. The historic tour of homes is December 1 & 2 and will be decked out in holiday splendor. Tea will be served in the Wade-Webb Mansion, 1034 Ann Street. Tickets are $15 and will be available at the featured homes the day of the event. Please call Judith Smith at 304-488-8729 for questions, ticket purchases or reservations. Detail: 20 games for $20 Door prizes, concessions, raffles, vendors Doors open at 1PM Come and do some Christmas shopping while supporting Gihon Elementary. Anyone interested in becoming a vendor, please contact Lori Richards (Lori Lou on Facebook). TICKETS WILL GO ON SALE SEPTEMBER 15th. Tickets can be obtained at the Gihon Elementary office. Or can be purchased NOW on EventBrite. Detail: Details Our Polar Express pajama matinee has quickly become a Marietta family tradition! 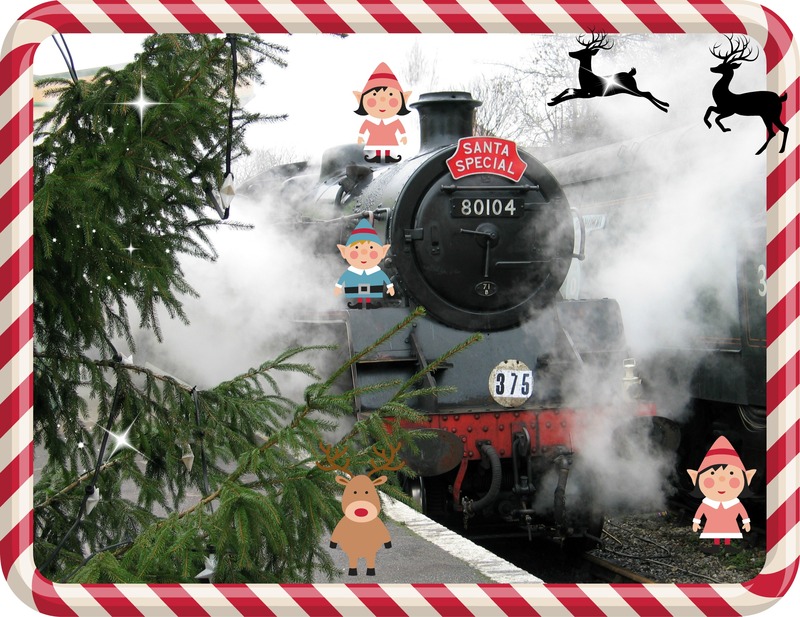 Come aboard the Polar Express, a magical train heading to the North Pole. Tom Hanks stars as the conductor—as well as five other roles! This beloved movie is based on the award-winning storybook written by Chris Van Allsburg, this Christmas story tells of a boy who has reached an age when his belief in Santa is beginning to falter. Tickets: $8.00 Adults $5.00 Students & Youth The young and young-at-heart are encouraged to come dressed in Christmas pajamas and enjoy the show. Santa will be on hand to hear Christmas wishes, and true to the Polar Express experience, hot chocolate and cookies will be available, too.